Are you trying to survive a bad boss? Fed up with advice to speak to them about it, raise it to HR or quit your job? The good news is there’s a proven, practical way to overcome the terrors your bad boss is creating, and you’ve probably completely overlooked it. Ready? The secret to surviving a bad boss is … other people. Tah dah! Researchers have found that the single best predictor of momentary experiences that lead to higher wellbeing and engagement at work, is not what we’re doing, but who we’re doing it with. In fact, having a best friend at work makes it seven times more likely that you’ll be engaged in your job, makes you better at engaging customers, helps you to produce higher quality work, improves your well-being and makes it less likely you’ll be injured on the job – regardless of your bad boss. 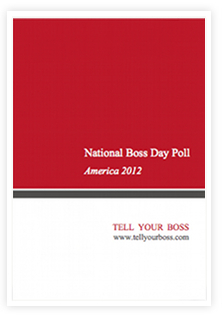 Studies show that a bad boss can greatly undermine your relationships at work and at home. Perhaps you’re like the legal secretary whose bad boss encouraged her colleagues to ignore her completely. Or maybe your bad boss likes to play you off against your colleagues so there’s no trust among your peers. Or it could be just the sheer stress and misery created by your bad boss is coloring your time with friends and family. The problem is by design, the negativity created by a bad boss inspires us to protect ourselves, which often means pulling back from others. Unfortunately, this separation can set you on a dark and lonely path that insulates you from the one thing you need most – the love and support of other people who care about you. Making it easier for a bad boss to get the better of you. “Our relationships with other people matter, and matter more than anything else in the world,” explains George Vaillant, a leading psychiatrist who is famous for overseeing on one of the longest running psychological studies of all time – the Harvard Grant Study which found social bonds don’t just predict overall happiness but also eventual career achievement, occupational success, and income regardless of a bad boss. How can this be? Firstly, evolution has genetically hard-wired us for love. As a child, your survival depends on unconditional and forgiving love. As an adult, you flourish when the positive emotions of love, joy, hope, forgiveness, compassion and trust allow you to attach to social networks that provide cooperation, support and physical, intellectual, emotional and financial prosperity. Your colleagues, friends and family are the best source of ideas and encouragement when it comes to surviving a bad boss. Secondly, we have a biological need for social support. Each time you joyfully connect with another person, the pleasure-inducing hormone oxytocin is released into your bloodstream, immediately reducing anxiety and improving concentration and focus. Each social connection also bolsters your cardiovascular, neuroendocrine and immune systems, so that the more connections you make over time, the better you function. Enjoyable moments with your colleagues, friends and family offer a biological “undo” effect for the lowering the stress your bad boss creates and raising your wellbeing to start looking for win-win outcomes for you, your boss and your organization. Create connection rituals – One of the best ways to nurture our relationships at work is to create rituals which allow us to get together and be in touch with people we value on a regular basis – regardless of our bad boss. This might include a daily walk at lunch, a weekly coffee, a monthly dinner with your colleagues. Studies show when you get at least six hours of daily social time, it increases your well-being and minimizes stress and worry. The six hours can include time at work, at home, on the telephone, talking to friends, sending emails and other communication, but each hour of social time you accumulate quickly decreases the odds of having a bad day. Even three hours of social time reduces your chances of your bad boss ruining your day to 10 per cent. Show appreciation – Practicing appreciation and gratitude is a kind of mega strategy to improve our levels of positivity and our relationships. It opens your heart and urges you to give back – to do something good in return – helping to nurture new relationships and improve existing ones no matter what your bad boss is doing. Perhaps this is why countless studies have shown that consistently grateful people are more energetic, emotionally intelligent, forgiving, and less likely to be depressed, anxious, or lonely. Try taking the time to genuinely thank someone they’ve done to help you each day before you log off – if you’re feeling really strong you might even find something to thank you bad boss for. Avoid social comparisons – Comparing ourselves to others is pretty natural especially if your bad boss likes to point it out! Unfortunately, the more social comparisons you make, the more likely you are to encounter unfavorable contrasts because no matter how successful, wealthy, or fortunate you become, there’s always someone who can best you. A three-step approach can shake this off. Firstly, you need to identify a recent event where the social comparisons you’ve made left you feeling jealous or unhappy and spend a few minutes writing about the event and what it was that unsettled you so you can unburden yourself of any negativity. Then, you need to identify at least three things you’re currently doing or could begin doing to find peace around this perceived short-coming to improve your mood and self-regard. Finally, you need to learn to avoid social comparison in the future by noting down the situations (places, times and people – like your bad boss) that appear to trigger these insecurities and try to avoid these situations or modify them just enough to thwart their ability to unsettle you. People who have at least three or four very close friendships at work are healthier, have higher wellbeing and are more engaged in their jobs. Don’t let your bad boss undermine your relationships when these people are the secret to feeling happier at work. Best of all research shows positive social connections predict more individual learning behavior, motivate you more than money or power and improve your effectiveness and performance which is the best way to ultimately free yourself of your bad boss. Do you have a best friend at work? How does it make your workday better?